Winner: 4 MONTHS, 3 WEEKS, 2 DAYS - searing drama about a young woman getting an illegal abortion in Communist era Romania. Outstandingly well-scripted, acted and produced. Drips quality and integrity from start to finish. An instant pantheon movie, for which writer-director Cristian Mungiu won the Palme d'Or at Cannes. Breath-taking cinema - reminds you how powerful this medium can be. Other Nominees: THE ASSASSINATION OF JESSE JAMES BY THE COWARD ROBERT FORD - Oz director Andrew Dominik's lyrical, handsomely produced, heart-breaking story. A young man's hero-worship takes him to the edge of murder, but it's the hero's tacit complicity in his own death that breaks our heart. A film of which I expected very little but once again was frozen with awe when the lights came up. HOT FUZZ - too often, august award ceremonies overlook the deceptively simple-looking movies that make us laugh. HOT FUZZ is spot on with its referential humour but, unlike so many weak spoofs, underpins it with a neat plot, a genuine puzzle to solve and real cameraderie between the protagonists. Kudos to Brit director Edgar Wright. BRIDGE TO TERABITHIA - another genre that is rarely patronised by the Academy, but h children's movie that is never patronising and tackles harsh subject-matter with grace and imagination. Two young kids make a fantasy world that is shattered by a nasty accident. Beautifully made, grabs you by the heart - a movie that should be watched by adults and kids alike. THE SINGER - Gerard Depardieu reminding us just how good he can be in a May to December romance that surprises us with its insight, sensitivity, emotional bravery and the genuine sexual chemistry between the two leads I can't wait to see what writer-director Xavier Giannoli does next. 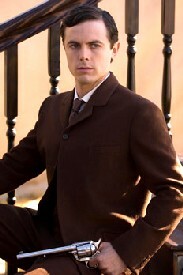 Winner: Casey Affleck as Robert Ford in THE ASSASSINATION OF JESSE JAMES BY THE COWARD ROBERT FORD. A break-through performance that perfectly articulates the slightly psychotic nature of being a "super-fan". Affleck never allows us to judge Ford harshly - he takes us with Ford into his guilt and regret. Other Nominees: Richard Gere in THE HOAX - a jaw-droppingly good performance from Richard Gere, who I'd never particularly respected before this, as author Clifford Irving. Gere as Irving fools everyone into thinking he is writing Howard Hughes' biography. Gere conveys the slippery nature of Irving's psyche. Irrfhan Khan in THE NAMESAKE proved to a Western audience what a subtle and profoundly good actor he was, portraying an Indian expat with a romantic heart struggling to deal with modern American life. He has that thing that all actors should aspire to: he makes us happy to spend time with him and he makes us care about what happens to him. What astounds me about Irrfhan Khan is his range - he's also brilliant in light comedic roles. Tim Roth in YOUTH WITHOUT YOUTH Tim Roth has always been pure class - just check out a very early role as a hyper-intelligent skin-head in MADE IN BRITAIN. In Coppola's come-back he handles complex material in a script that stretches credulity. He plays a young man an old man and everything in between. It's simply an acting masterclass. 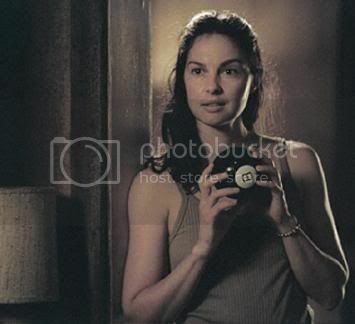 Winner: Ashley Judd in BUG. All these performances are raw, brave and on the edge. All these actresses deserve praise for exploring painful territory and making the extreme seem believable and sympathetic. Ashley Judd wins out because her performance was so convincing and the material was the most difficult: she plays a woman holed up in a motel room with a conspiracy-theorist wacko. They both simply go mad. Other Nominees: Maggie Gylenhaal in SHERRYBABY. Gylenhaal excels as a drug addict ex-con who comes back to claim her daughter and has to face the demons from her past. A typically strong performance from one of the most impressive actresses of her generation. Angelina Jolie in A MIGHTY HEART. Jolie reminds us how good she was in GIRL, INTERUPTED - before TOMB RAIDER. A quiet, modulated performance that portrays Marianne Pearl's immense bravery in the face of her husband's kidnap and execution by Muslim fundamentalists. Julie Christie in AWAY FROM HER. A heart-breaking -performance by Christie as a woman who suffers from Alzheimer's, makes the brave decision to leave her husband and enter a nursing home, forgets her husband and then falls in love with another man. Marion Cotillard in LA MOME. A charming performance that conveys the complexity of Edith Piaf's character and holds together a biopic that threatens to crumble under its unnecessarily complex non-linear narrative structure. Winner: Steve Zahn in RESCUE DAWN. A surprisingly honest, moving performance from funny-man Zahn as Dieter Dengler's fellow escapee from the Cong in Werner Herzog's fictional recreation. Other Nominees: Eddie Redmayne for LIKE MINDS LIKE MINDS is a slight British thriller which will be remembered purely as being Eddie Redmayne's first flick. He is an immensely impressive young actor, even in dreck like SAVAGE GRACE. Satish Kaushik in BRICK LANE. Kaushik manages to make a comic villain - fat, over-bearing husband - into a figure of symathy and indeed nobility. A truly great performance in a mediocre movie. Ben Foster in 3:10 TO YUMA Foster is magnetic as a mentally unhinged outlaw in this Western remake. You can measure the brilliance of his performance from the fact that he steals scenes from under Christian Bale and Russell Crowe. Chris Cooper THE BREACH A performance that perfectly transmits the contradictions of a CIA mole and under-pins a much under-rated spy thriller. Winner: Tilda Swinton in MICHAEL CLAYTON. A performance that conveys perfectly conveys the moral dilemma of modern capitalism: how far do these companies recruit insecure over-achievers who will identify with the brand and sacrifice their social lives and indeed their moral integrity for its survivial. In a solid film full of strong performances, Swinton stands out. Other Nominees: Romola Garai in ATONEMENT. The British actress who should be more feted than Ikea Knightley - in the scene where she apologises to Knightley and McAvoy's thwarted lovers she acts them off the screen. Saiorse Ronan in ATONEMENT. A confident, intense and assured performance from a young actress as the confused, spiteful little sister who deliberately does something grave and wrong but for what she thinks is the right reason. Meryl Streep in LIONS FOR LAMBS. Just for the sheer delight of watching two actors at the top of their game (Streep and Cruise) having a war of words over the War on Terror. It was what cinema rarely is these days - a delicate balance of intellectual substance and belly-laughs. Cate Blanchett in I'M NOT THERE. In a cast of mostly men trying to interpret the life and myth of Bob Dylan, Blanchett gives the most convincing and scarring performance of Dylan in his caustic electro- phase. A far better performance than in ELIZABETH: THE GOLDEN AGE, certainly. Winner: 4 MONTHS, 3 WEEKS, 2 DAYS What more can I say? If any movie from 2007 survives the test of time, it will be this one. This movie shows us how great cinema can be. Kudos to Cristian Mungiu. Other Nominees: Susanne Bier for AFTER THE WEDDING If I could nominate an ensemble cast, this movie would win, but at the very least one has to praise Susanne Bier was a scalding tricksy script about a dysfunctional family, riven by secrets and ruled by a manipulative father. This is what Dogme was all about wasn't it? Not some adolescent rant against technical artifice but a desire to strip cinema back down to bare emotional truth. Sarah Polley for AWAY FROM HER An impressive directorial debut from this actress - and more impressive for the fact that she tackles an unfashionable but increasingly important subject - how Alzheimer's destroys relationships. She elicits career-redefining performances from her cast but also conjures up stunning visuals. Julie Delpy for 2 DAYS IN PARIS Who knew that Julie Delpy would turn out to an auteur?! A confident directorial debut and a rare movie that combines belly laughs with insight. I also love her confidence in depicting a romantic comedy that is fundamentally cynical about the possibility of love. Sean Penn for INTO THE WILD Finally Penn finds material that matches his own concerns, rather than taking someone else' film and over-stuffing it with heavy earnestness and pretensiousness. As with Sarah Polley, Penn elicits great performances from his cast but also masters the visuals. Winner: Julie Delpy for 2 DAYS IN PARIS. Funny, smart, unpredictable! Other Nominees: Michel Gondry for THE SCIENCE OF SLEEP. Funny, smart, unpredictable! Aki Kaurismaki for LIGHTS IN THE DUSK. Another wonderfully absurd, off-beat, and yes, that most dirty of dirty words, quirk, script from this Finnish director. A hopeless security guard almost wills his own downfall at the hands of a femme fatale and a caper gone wrong. Shane Meadows for THIS IS ENGLAND Yet another strong film from Britain's most authentic writer-director. Meadows perfectly conjures up the early 80s and all the thwarted hopes of the working classes. Once again he deftly combines profound subject-matter - racial violence, social deprivation - with a good ear for the absurd and comic in even the worst situations. Nanni Moretti for THE CAIMAN A superlative film not so much about the scandalous Italian Presidency of Silvio Berlusconi but about how ordinary Italian let this happen. A film that depicts moral complicity on a small scale but did so in defiance of Berlusconi himself. Subtle, clever, funny, moving. Winner: Sooni Taraporevala for THE NAMESAKE. Another great script from the women behind MISSISSIPI MASSALA and SALAAM BOMBAY! Other Nominees: Ron Nyswaner for THE PAINTED VEIL. A sensitive adaptation that opened out this novella and made it seem relevant to modern eyes. Matthew Vaughn and Jane Goldman for STARDUST. Michael Goldenberg for HARRY POTTER AND THE ORDER OF THE PHOENIX - an impressive script that condenses down a baggy monster into the most focussed of the Potter flicks. Winner: In a great year for cinematography, Harry Savides just edges out the competition for ZODIAC, with his moody visuals of the West Coast in the seventies. Possibly is best work since Se7en. Other Nominees: Martin Ruhe stunning black and white photography for the Ian Curtis biopic, CONTROL, which one suspects was heavily directed by Anton Corbijn. Coen-Brothers collaborator Roger Deakins for the stunning landscape photography in Andrew Dominik's THE ASSASSINATION OF JESSE JAMES BY THE COWARD ROBERT FORD. Philip Robertson for his stuning use of DV to depict Morecambe Bay in Juliet McKeon's FROZEN. Other Nominees: TERROR'S ADVOCATE - Barbet Schroeder's important and chilling documentary about Jacques Verges - a lawyer who has defended terrorists and war criminals with an alarming lack of moral qualms. BLUE BLOOD - Steven Riley's low budget British documentary about the Oxford-Cambridge varsity boxing match. Funny, engaging, worth seeking out on DVD. JOE STRUMMER: THE FUTURE IS UNWRITTEN - Rock doc maestro Julien Temple's hommage to Strummer. Rich in interview footage, the movie captures everything that was exciting about punk and the sad hangover of the late 80s and 90s. ZIZEK! - I can't get enough of Marxist theorist Slavok Zizek. He lectures with imense passion and comedy about movies, life, the universe and everything. Astra Taylor's documentary is a wonderful companion to Zizek's PERVERT'S GUIDE TO CINEMA. Is he sending himself up, or us?! THE FAMILY FRIEND - creepy, surreal Italian film about a manipulative grotesque who blackmails a beautiful young girl. Deeply bizarre but memorable. Winner: RATATOUILLE - showing that CGI can have heart, rather than just snappy one-liners. Other Nominees: SURF'S UP - a handsomely drawn movie that also displayed heart rather than post-modern in-jokes. MAX AND CO - an old-fashioned stop-motion film from France that has a zany story, real visual imagination and even works when the young viewers don't understand the language! TERKEL IN TROUBLE - a filthy, irreverant animated film about a young kid fighting school bullies. Despite the toilet-humour, spot on on the neuroses that bedevil young kids. No worries. It seems a bit of an anachronistic category to me, the old Best Song Written Especially etc - designed for the era of the Hollywood musical. Disney musicals aside, St Trinian's is a rare example of a movie with a really good song written for it that perfectly captures the vibe of the film and is also integrated into the finale rather than just playing over the sound-track.